Endee provides a wide & extensive range of Water Quality Analyzer Products. 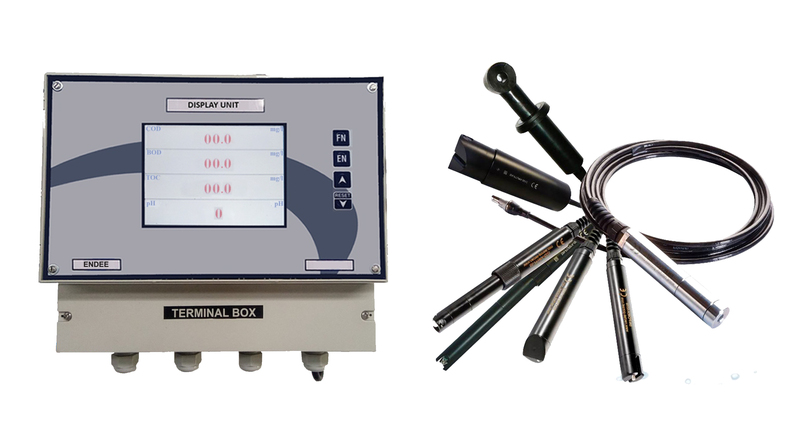 These are Multi-parametric Instrument with complete range of Digital Sensors & Expandable as per requirement. It is also equipped with the MODBUS RTU protocol, Ethernet & Data logging. We provide this Analyzer with Inbuilt Graphic LCD Receiver which we can Monitor Reading of the Detected Parameters for further process of Control. This allows the Simultaneous Display of Digital Measurement. With possibility to store up to 4,00,00,000 Records & Display Stored Data. Data Download to USB PENDRIVE or through RS 485. For Repeating the Measurements, with the First & Second Set on the Measurement of the Same Parameter. MODBUS RTU for Set-up, Real Time Data Communication or Download of the Stored Data. Easy to Replace Sensors as per requirement on Fields. Whole Range of Sensors is available as per requirement & the Product Engineered to Function normally in Applications. The	above Parameter and Ranges	are only indicative. Endee will build up and supply the analyser with Parameters, range and features to any Practical Configuration.